For over a month now all we had to play with was Opera 9.62, build 10467 final, which made the browser considerably safer to work with. 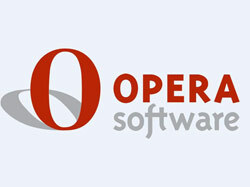 Opera is taking its software application one step further and has just released the first alpha build of Opera 10. According to Adam Minchinton, Opera Mac developer, the Opera Desktop Team is more than happy to have been able to put out this Alpha build, especially if you consider how short ago they released Opera 9.62. He decided not to “ramble on” about the development process and things like that, and rather opted to present the new features in Opera 10 (and so shall we). - Presto 2.2 Engine which boasts passing the Acid3 test with flying colors, regular expression engine, enhanced CSS performance, support for web fonts, RGBA and HSLA, as well as API support. - Auto-update, meaning that the browser will update itself, automatically. This is not something new if you are a Firefox 3.0 user, but previous versions of Opera did not feature this option. - The Inline spell checker will make sure the words you type in are correctly spelled. - Several enhancements have been added to Opera Mail: rich text composition, POP-only automatic removal of messages from the server, and some minor visual modifications. If you would like to get Opera 10 Alpha 1 for Mac, UNIX, Windows and Windows Classic, a download location is available here.